Shooting outdoors? Use that sunscreen! After an annual skin cancer check, I was told I have a Stage 1A Melanoma on my right forearm. It’s actually no big deal. A 30 minute procedure next week should clear out the cancer and no further treatment is required. They do advise more frequent full body skin cancer checks going forward. The recurrence rate appears to be 2-3% so extremely low. I feel like I should be freaking out. Instead I’ll just publish this as a reminder that if you are going to be in the sun, use your sunscreen. 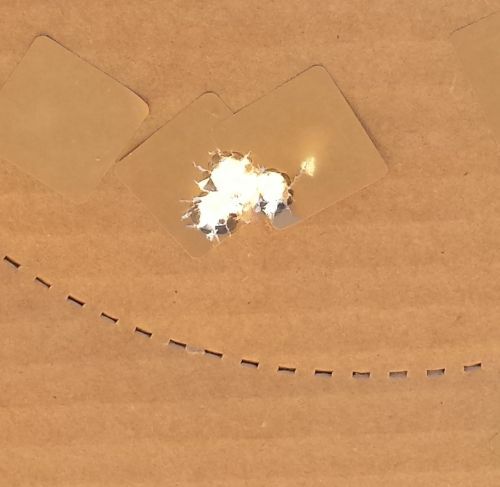 I love to spend an afternoon on an outdoor range. I just need to add sunscreen to my list of other protective devices. So now the check list is: eyes, ears & skin. After I made an appointment and submitted my paperwork to renew my CHP in Wake County, I received a postcard to remind me to do just that. It arrived about four and a half months (18 weeks and 3 days to be exact) prior to the expiration date. Since you have to start the process all over again from scratch if you let your permit expire, this is a nice service from the Sheriff’s Department. This is my first experience at a renewal. Five years ago when I originally got my permit, no part of the process was online. Now you can download the paperwork, pay for the renewal and book an appointment to submit the paperwork. The process requires a notarized signature, so I doubt the in-person step will ever be waived, but it will be interesting to see what technological changes will occur in another five years. It was February but I decided I had some free time so I’d take care of it. The actual name attached to this permit can be confusing. 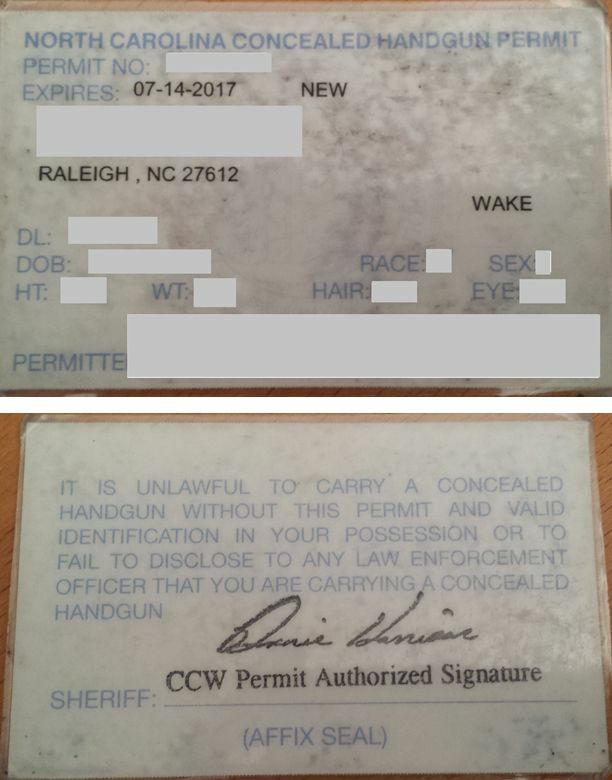 The front says “CONCEALED HANDGUN PERMIT” while the back says “CCW Permit”. 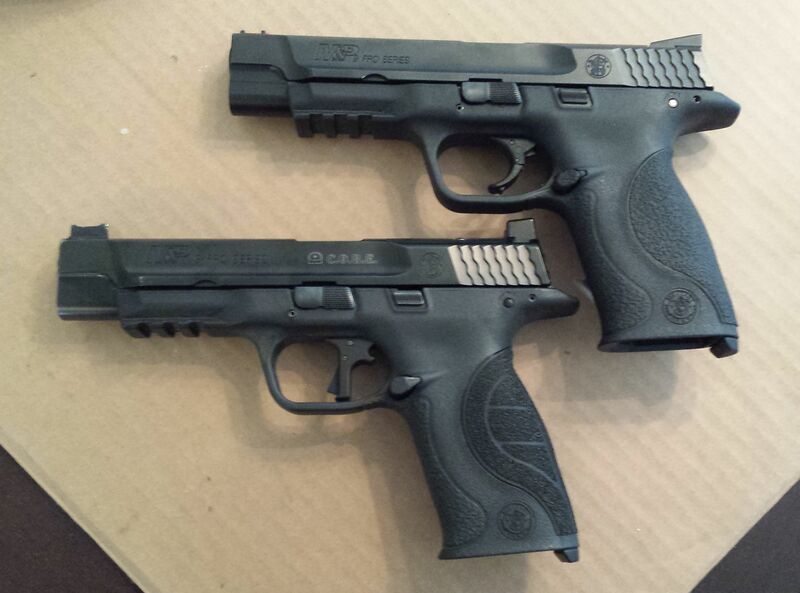 CCW typically stands for “concealed carry weapon”. I’m not sure why they use different terminology on the front and back. 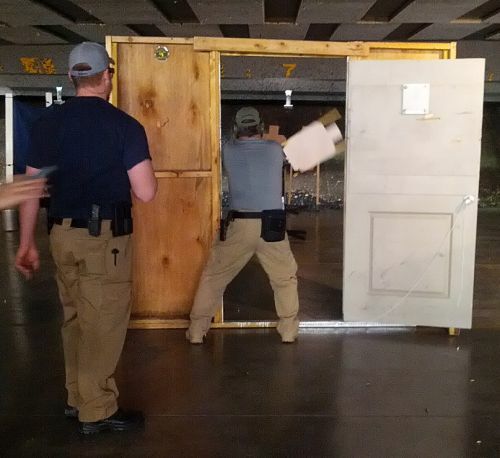 Most folks I know call this a “CCW Permit”. 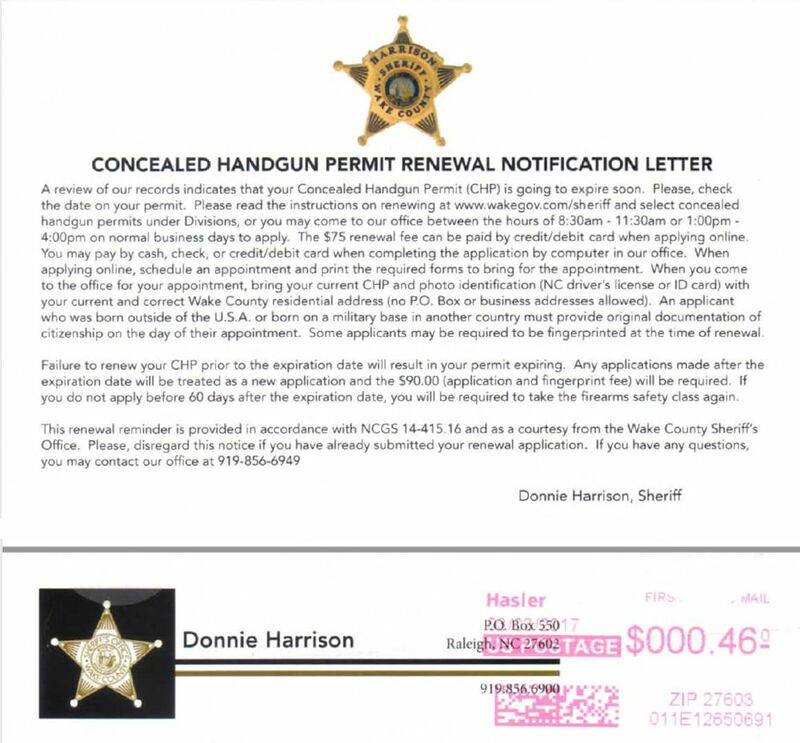 I found this page that appeared to have the link to a renewal: Wake County Sheriff Office Concealed Handgun Permit Application. I filled out the form, paid by credit card ($81.59 with convenience fees) and booked an appointment to drop off my forms the following week. A few days later I had a dentist appointment. I’m out to my dentist and my chiropractor about shooting IDPA and having my CCW and I mentioned I’d be downtown the following week. My dentist said there was a restriction on how early you could renew. I did further research and found a web page here that mentioned “no more than 90 days prior to the expiration date”. I was about 6 week too early so I called the contact number promptly at 9am the next morning and asked if I should reschedule the appointment within the 90 day window. The person I spoke with said they were fine if you started 4-6 months in advance. So don’t believe everything you read on the internet. My appointment was at 1 pm on March 1, 2017. I got lucky with parking and arrived at 12:30 pm. They took me right away. I was asked to sign and date 2 pages then address an envelope to myself. Once approved, they would mail my permit in that envelope. I was done in about 15 minutes. Parking cost was $1. Of note: I was told that if my current permit expired before receiving the renewed permit, it was OK to continue to carry, however, I could not use the expired permit to purchase any firearms. I’ve done my part ion the renewal process. I’ll update this when my permit arrives to document how long the process it taking at this time.